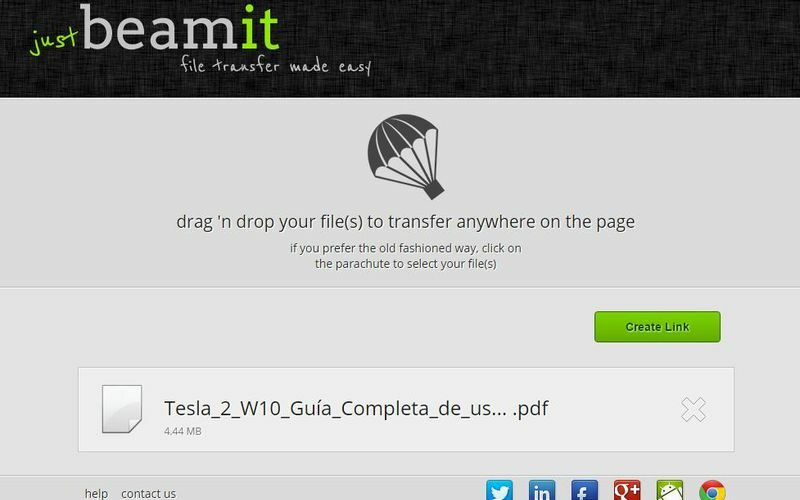 Do you want to some temporary online file storage to upload your files? Check this list of the best anonymous file-sharing services. Cloud storage has become an exciting option to save our files. It is a way to have them always available anywhere and to be able to create backup copies. But it can also come in handy when we have to send documents and folders to other users. So let’s see the best anonymous file-sharing services with temporary online storage. One of the options you have to send files anonymously over the Internet is ToffeeShare. It is a straightforward temporary online file storage to use, and that doesn’t require any registration or to give your data. You have to drop the files that you want to password there. Also, keep in mind that this platform has no space limit. Of course, the larger the file, the longer it will take to upload, logically. Once that file is uploaded to the platform, a link will automatically be generated. That link you can pass to your contacts through email, social networks, WhatsApp. This way you can download it without problems. Another of the temporary online file storage you have available to send files anonymously is SendGB. This platform allows sending up to 4GB. You can upload the files here and send them to your contacts. It is necessary to mention that it allows generating a password. In this way, the file that you upload goes encrypted and you avoid possible intruders. Besides, it has a self-destruct option, and after seven days it is eliminated. You can even configure it to be deleted when it has been downloaded. 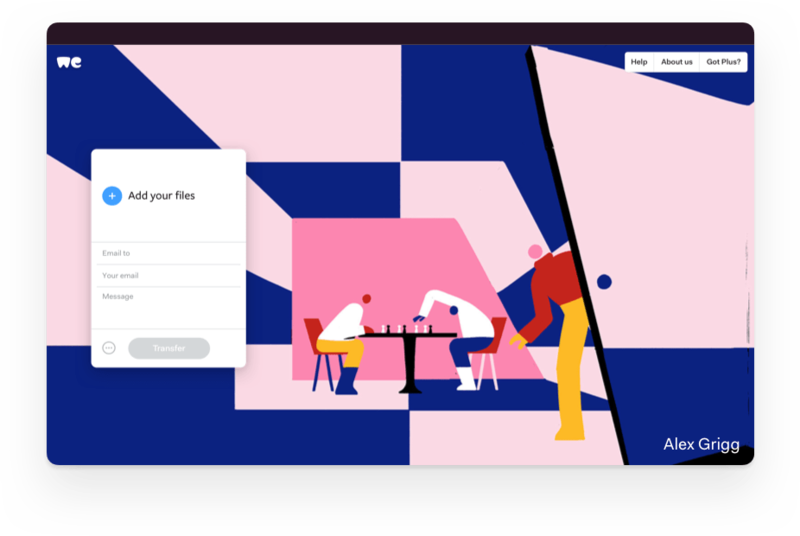 WeTransfer is one of the anonymous file-sharing services that has managed to position itself as a benchmark in this sector, and they are so confident that they have dared to launch a paid option. Even so, in its free mode you can send up to 2 GB in files to a maximum of 20 users by entering their emails, and the files will be kept online for seven days. As for its paid option, WeTransfer Plus offers transfers of up to 20 GB, a custom subdomain for shipments, and the possibility of adding keys. It also provides you 100 GB of permanent storage. Come on, that for the $12 a month it costs becomes almost a storage service in the cloud. JustBeamIt you can also send files anonymously. It doesn’t require any registration or to put your data. The process is straightforward. You have to upload the files you want here, and it automatically generates a link. Besides, I must mention that this time there is no size limit. It generates a ZIP file in case of uploading several single files — one way to maintain order and the other person to download it more easily. OnionShare is an open source anonymous file sharing tool, available for Windows, Mac, and Linux, which is used to share files regardless of their size. Its purpose is that the transmission of files is secure and anonymous. For this, its strategy is to operate as a private web server that generates a link from which anyone can download said file. The operation is simple. Who wants to send a file opens OnionShare and adds one or more files or folders to share. Then click on Start Sharing, and you will get a link. As a precaution, the link generated must be shared only with those who must download the file. Sharing it with anyone will make OnionShare stop being so safe. Anyway, from the Settings of this tool you can make the link to stop being available after the first download, option that is activated by default. For the rest, the app is effortless. When you add files or folders they will show their size. Once shared, you will see if there are downloads in progress and completed successfully. OnionShare is easy to use, but if you have questions, you can go to their official help. 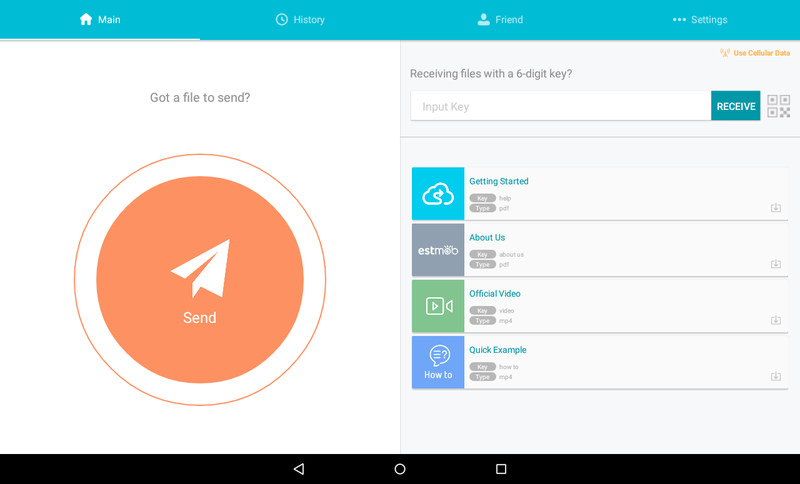 Reep-io is anonymous file sharing tool to protect files with a password. The mechanics are the same, you add a file to your liking, the page generates a link, and you share it with who we want to receive it. The shipment is made through P2P, encrypting our communications with Data Transport Transport Layer Security (DTLS) using SSL to reduce the possibility of suffering a man-in-the-midle attack. The service has no size limit or some files, and even allows streaming video or preview of the images. UploadFiles is anonymous file sharing service to share files anonymously over the Internet is UploadFiles.io. It works similarly to the last ones I mentioned. This time we have a 5GB limit, which may be more than enough for many users. It is an entirely free platform and doesn’t require any previous registration. You have to upload the files here, and it will generate a link. This link can be passed to other users and thus be able to download them. But why choose between the security measures offered by some of the previous services if you can have them all? FileSharing provides the possibility to protect the downloads with a password, sends the encrypted files and the links that it creates are automatically deleted after 24 hours. Also, if your upload fails this will resume where it stayed when you try again. All this with the classic mechanics of dragging files or choosing them with the browser, and being able to do the sending by sharing the unique link that is generated or by entering an email. Of course, you will have a limit of 5 GB for the files to send. Send Anywhere is possibly one of the most versatile anonymous file-sharing services that you can find. And all because it complements its website with applications for all operating systems: Android, iOS, Windows Phone, Kindle, Windows, Mac OS X, and GNU / Linux. It also has an add-in for Outlook, apps, and extensions for Chrome and a plug-in for WordPress. On the web, you can add files to generate a link or enter a password you have received to start a download. The data aren’t encrypted, and the web version has a limit of 1 GB, but it makes up for it by instantly deleting what you share at the same moment that the receiver has finished downloading it. 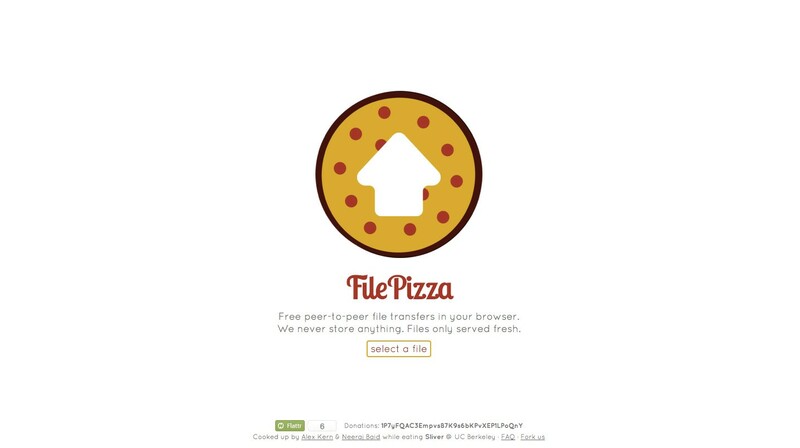 FilePizza is another temporary online file storage. The file is sent directly from browser to browser using WebTorrent and WebRTC. This means that both have to be connected at the same time at the time of sending. The only thing that you have to take into account is that the developers warn that sometimes in Chrome there are problems when sending files of more than 500 megabytes, a problem that in Firefox, for example, doesn’t occur. So far those were the best temporary online file storage tools to upload your files quickly and anonymously. Now you can share files without providing usernames or passwords. Do you use any of these tools before? Let me know in the comments section.